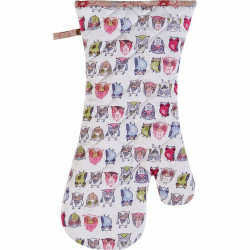 This kitchen glove will protect your from the daily cooking slip-ups! Just fall for these lovely owls with fresh and casual colours! 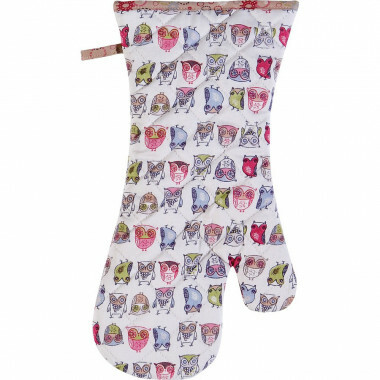 This kitchen glove will protect your from the daily cooking slip-ups! 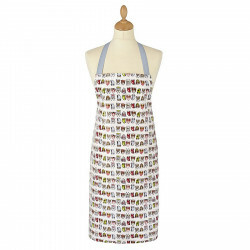 Pair it with matching apron and get the looks of a real seasoned cook! Dimensions : 20 x 37 cm. Ulster Weavers has been established in 1980. The company specialises in linens and is based in Hollywood, North of Ireland. The brand enjoys great reputation thanks to more than a century of experience. The quality of the raw materials used such as linen for example, as well as finished products is widely recognized, and today Ulster Weavers Irish products are sold all over the world. Indispensable kitchen aid, this apron made of PVC with pastel colours will make you avoid the risk of getting dirty while keeping style and fantasy.